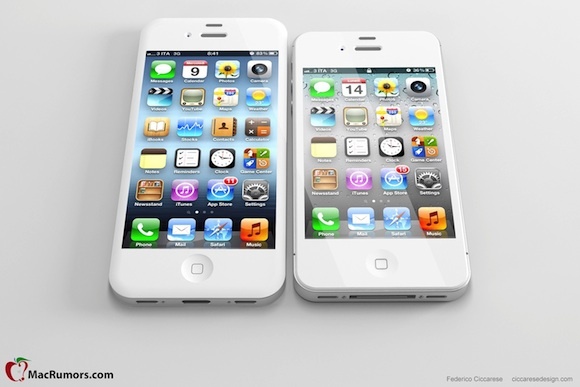 The Apple iPhone 4S is starting to look a little dated now and even though its successor won’t get its official announcement for at least another few months, rumors are already starting to fly around. The latest one comes from the Wall Street Journal, citing “people familiar with the situation” and saying Apple is set to put a screen measuring at least 4-inch on the next iPhone. Furthermore, Reuters has also confirmed the statements of the WSJ sources with its own story, suggesting that Apple’s screen will measure 4-inches “from corner to corner”. Reuters goes on to say that early production of the displays will be tackled by LG Display, Sharp Corp and Japan Display Inc. The reason for this jump in screen size according to WSJ is the requests of long-time customers, who want Apple to stray away from the classic 3.5-inch screen size and adopt a larger display. It’s still unclear whether Apple will keep the same 3:2 aspect ratio if indeed a 4-inch one is in the works, but that seems like the more reasonable thing to do. This year’s WWDC is fast approaching and Apple is expected to shed some light on the upcoming iOS 6. The announcement of the next iPhone is expected to come around Setepmber-October.